The Philippines is an amazing country, with wonderful diving to match. It is made up of over 7,000 islands, with a coastline that is the fifth largest in the world, providing many miles of fringing reefs to explore. And being situated at the apex of the coral triangle, it is renowned for having some of the most diverse and prolific marine life on the planet. There is also a great variety of things to see - From the World War II wrecks of Coron Island, to the whale shark sightings in Sogod Bay. 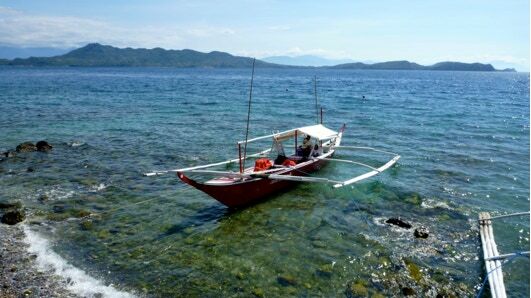 From the exquisite reefs of Tubbatha marine park, a World Heritage Site, to the nightlife and resorts of Puerto Galero. In SCUBA DIVING - Underwater Philippines we explore the region around Anilao, a peninsular location, about a three hour drive south of the capital, Manila. Here you will find a fantastic mix of pristine reefs and muck diving, which provides a great introduction to the Philippine diving experience.